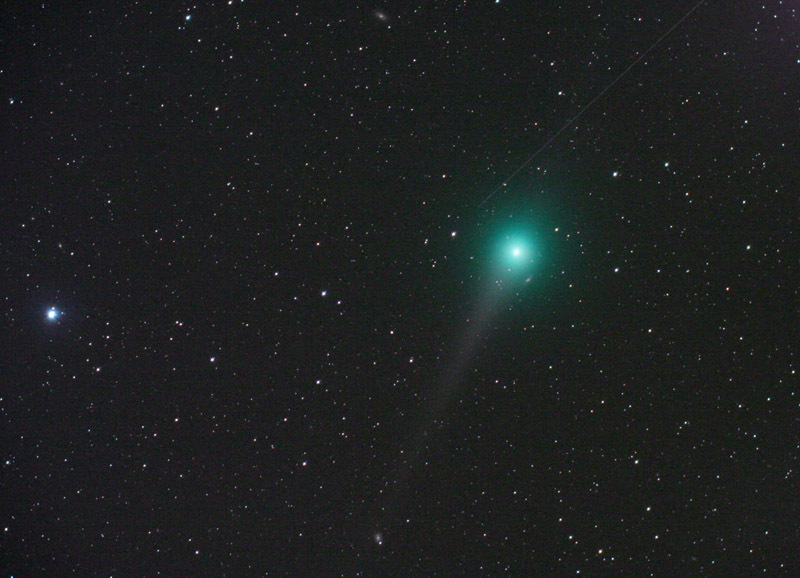 VISUAL REPORTS: "Comet Lulin was quite easy to spot with the naked eye and averted vision when only 20 degrees above the horizon," reports Doug Zubenel of Kansas on Feb. 20th. 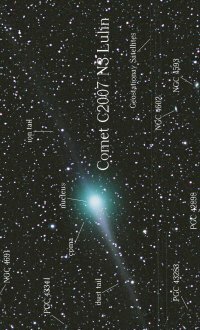 "While Coyotes howled at the celestial Hare, Lepus, above the SW horizon, I was able to make four images of Comet Lulin. In two of the pictures, you can see a few geosynchronous satellites." 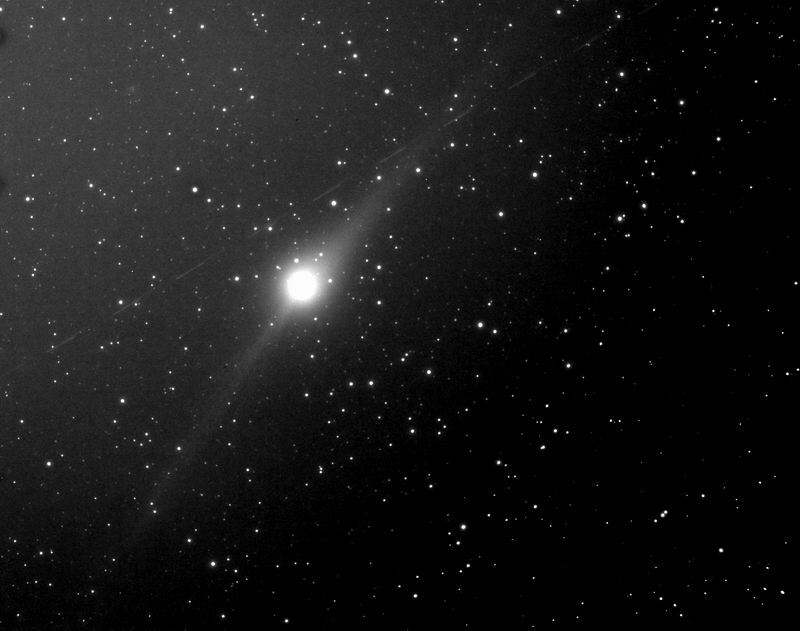 "Comet Lulin is now easily visible to the naked-eye as it zips through the constellation Virgo," says astronomy professor Jimmy Westlake of Stagecoach, Colorado. "This image is a 6-minute guided exposure taken at 1:23 AM MST on Feb. 20th with a Fuji FinePix S2 digital camera set at ISO 800 and a Nikkor 300 mm lens at f2.8--no telescope required!" 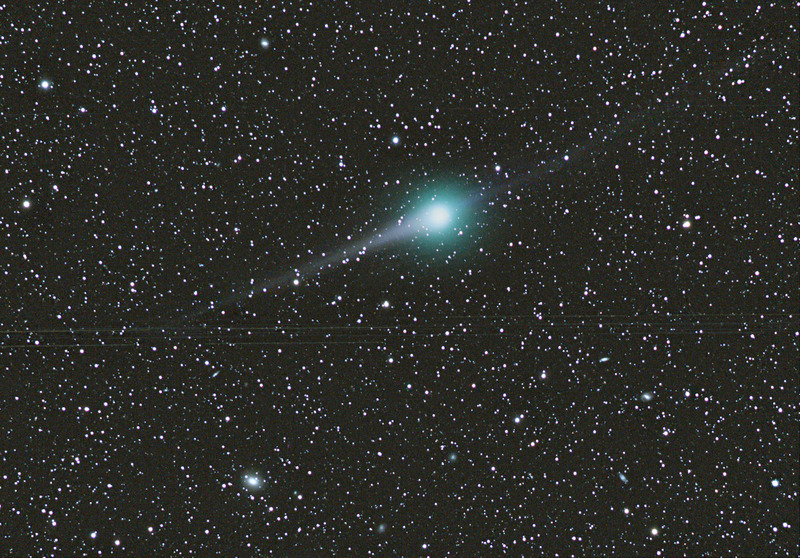 "On Feb. 20th I looked for Comet Lulin from my light-polluted back yard north of Evansville, Indiana," says Mike Borman. "I could not see it with the naked eye, but it looked nice in binoculars." 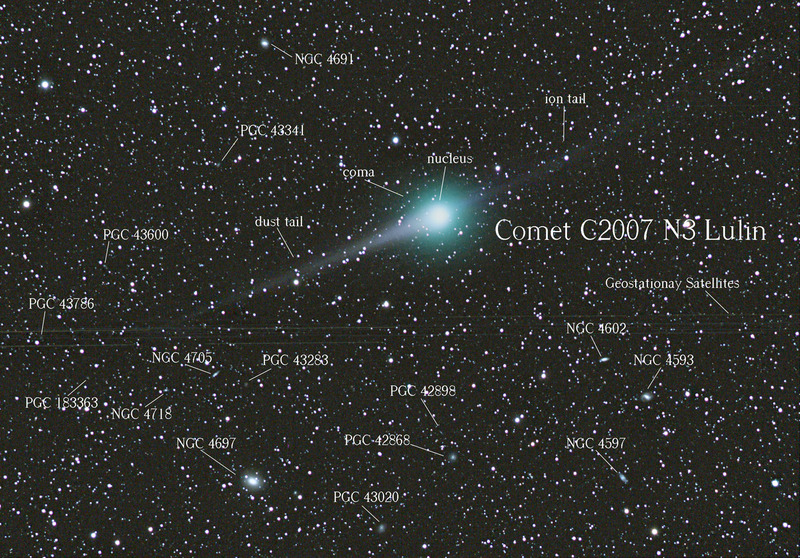 On Feb. 17th and 18th, many observers of Comet Lulin saw something unexpected. 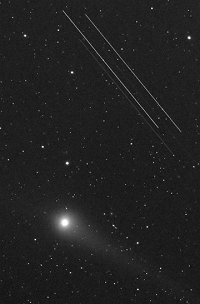 In addition to the comet, "I kept getting satellite trails in my images," reports John Cordiale of Queensbury, New York. "It was like Grand Central Station. Multiple groupings of satellites traveled through my images for hours. It made me wonder if I was seeing debris from the recent double satellite collision." It certainly looked like flying debris. But no, what Cordiale and others saw was actually a band of intact geostationary satellites. Geostationary satellites orbit Earth twenty-two thousand miles above the equator, always keeping station above a single point on the ground. While geosats are stationary with respect to Earth's surface, they move with respect to the stars. 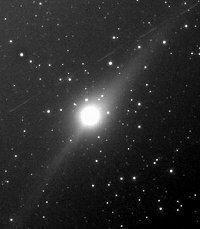 Viewed through the eyepiece of a star-tracking telescope, the stars are motionless while the "stationary" satellites streak through the field of view like so much debris. Strange but true. Photo details: Takahashi FC65 refractor, QSI540 -4022CCD Camera - single 180 second exposures. Beautiful comet Lulin and a lot of geostationary satellites. 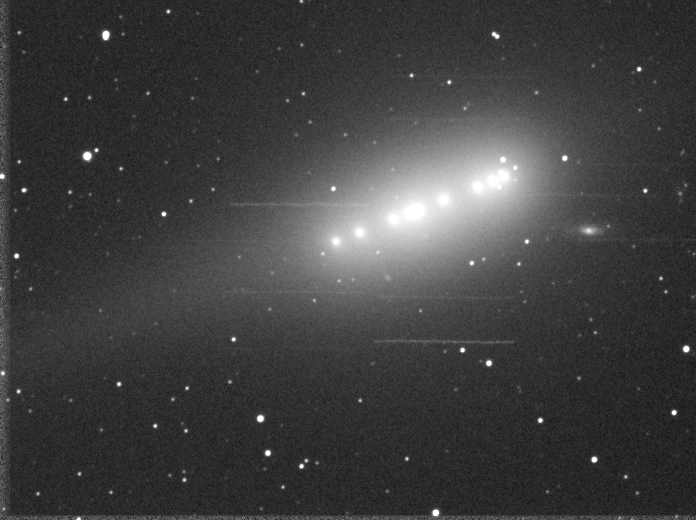 Photo details: Long Perng ED 90 telescope at f4,4 Canon 350D astrocooled 4 minute exposure, 800ASA. 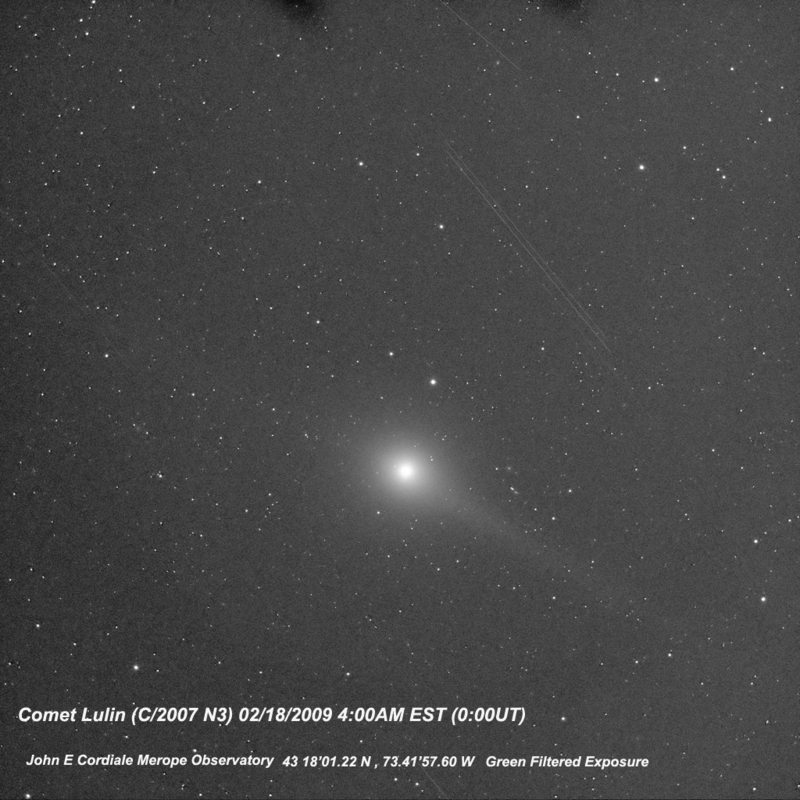 Comet Lulin moving through what appears to be a large quantity of space debris. 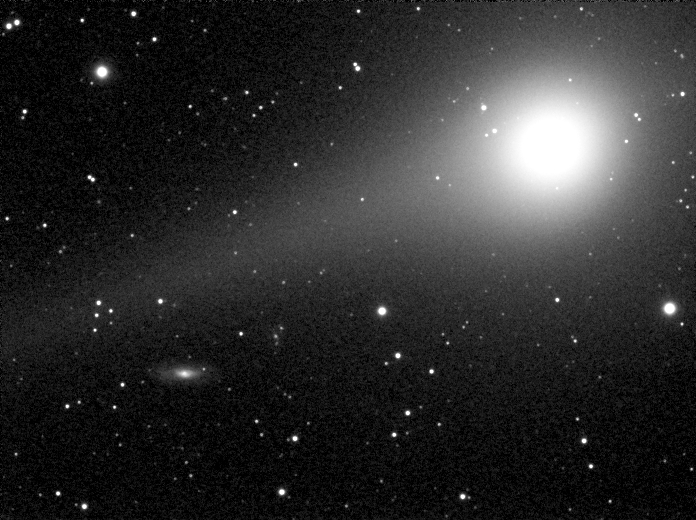 Taking multiple exposures of comet Lulin obtained with a 102 mm refractor telescope equipped with SXV-H9 CCD. We saw a numbers of objects apparently moving in the backgound. From 22.42 U.T. to 23.45 of Feb.17th. In reality, the angular velocity of the objects was about 15°/hour so they are surely geostationary satellites. 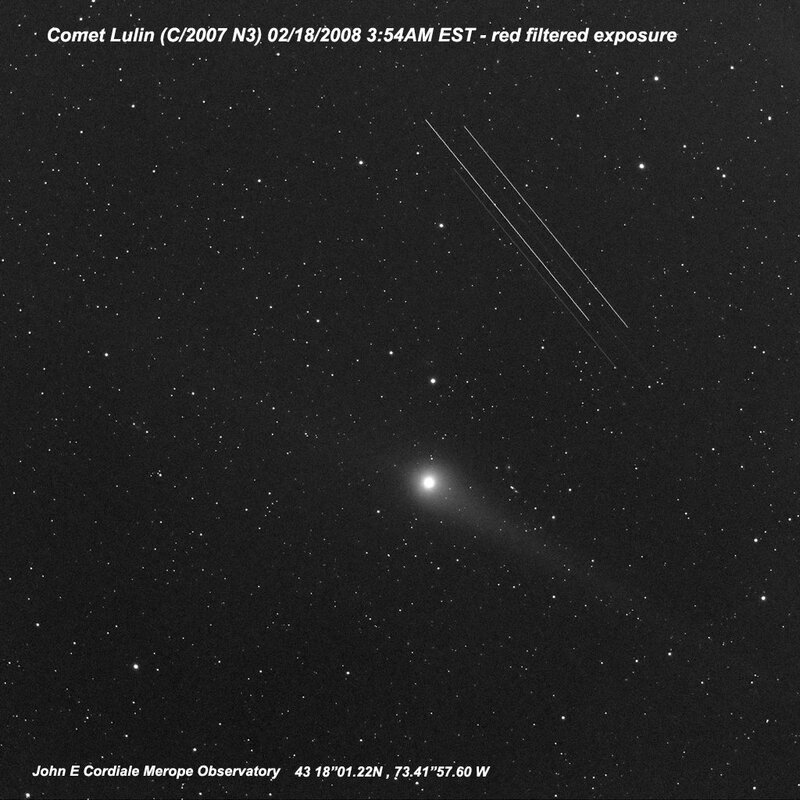 Comet Lulin is so dim when i photographed it. I don't see it visually, but i see comet in pictures. My equipment is William Optick Megrez 90mm FD apo and SBIG STL-6303E camera. Mount is excellent Paramount ME. Clear skies! !